Considering the fact that the Serbia is regional leader in the mining industry and the mining sector is one of the foundations of the national economy and that mining industry, as a holder of mineral resources management must be designed in a rational and sustainable development, the state secretary of the Ministry of natural resources, mining and spatial planning Tomislav Šubaranović, together with his associates Zoran Danilović, Jelena Milenković and Goran Tomić, analyzed geological exploration and exploitation of mineral resources with the development plans of mining of the Republic of Serbia. In a work published in the proceedings with IV Symposium with international participation “Mining 2013”, which was held in late may at Silver Lake, it is provided the analysis of geological potentials and researches with the results of the mining exploitation and production in the period since 2005. by 2012. , that indicate that the mining industry as economic branch, quite easily has submitted and amortized impact of the global economic crisis. Also provides the results of increased interest in mineral resources and exploration, where we can see that in recent years has increased the number of foreign investors with total investment in geological exploration from 25 to 30 million annually. 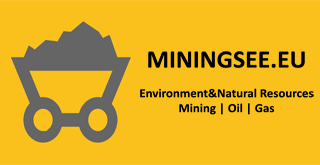 The mining industry of Serbia produces about 65 million tons of solid mineral resources, more than one million tons of oil and 500 million cubic meters of natural gas. After years of stagnation, the sector has significantly progress in the last 10 years due to the entry of foreign investment and rapid jump of stock prices. As a result of many years activities to increase capacity of mining production in the period since 2005. to 2011, it is achieved growth rate of 23 percent. The mining represents economic activity with a significant financial share in the total BDP of Serbia. Taking into account the potentials, strategic objective of resource is that, until 2020, the mining industry in Serbia participate in the total BDP with more than five percent and currently is two percent. With over 2,000 occurrences, characteristics and mineral bunks, Serbia is among the countries with diverse and relatively rich mineral resources. The most significant potential has coal, whose geological reserves are 9.28 billion tons, where the most important is lignite. Analyzing the production in the sector of mineral resources from 2005. until today, the authors of work point out that the mining, as an economic branch, least suffered the impact of the economic crisis starting in 2008, compared to the decrease of industrial production in other economic sectors. After continuous growth, from 2005. to 2008, there was a decrease production in 2009 , and after that continued growth, and already in 2010 production has reached the level of before the crisis. The number and structure of the labor power characterizes reduction of employees’ number from 30,500 in the 2005. to 22,250 in the 2012. The basic characteristics of the exploitation of mineral resources in the 2012. are satisfying natural indicators, continued investment and modernization of production, stabilization and increase in production of energy resources, especially of oil and gas, then a slight recovery in the exploitation and production of non-metallic mineral resources and international companies interest for investments in geological researches and possible exploitation. In The Republic of Serbia coal mining is carried out from the mines with open pit exploitation (Kolubara, Kostolac and Kosovo-Metohija), underground mine in the “Resavica” and underground mine “Kovin.” From produced 35.6 million tons of coal in the 2005, it has been reached 38.4 million tons last year, of which “Kolubara” produced 29.6 million tons. Production of crude oil and natural gas, and also of oil derivatives takes place within the Petroleum Industry of Serbia. The mining of metals is done in polymetallic deposits, and the most significant are complexes of copper ore and lead-zinc. The most massive exploitation and production of copper is performed in the vicinity of Bor in open pit mines “Krivelj”, “Cerovo” and “Majdanpek” and in the underground mine “Jama Bor”. Lead-zinc ore is exploited in the mines, which are in private owned – on the mountain Rudnik near Gornji Milanovac, “Kriva Feja” near Vranje, “Lece” around Medvedja and “Veliki Majdan” near Ljubovija. Some of the development plans for the 2013. include the implementation of the exploitation project of oil shale, continued construction of ironworks and modernization of Bor flotation, revitalization of open pit “Cerovo,” continuation on development and exploitation of the mineral body “Andezit ring” in the mine “Majdanpek”. Among the development plans for 2013, there are those that are related with Mining Basin “Kolubara” – further research in order to open pit “Radljevo”, relocation of Vreoci, enabling full capacity and operation on open pit “VelikiI Crljeni”, as well as continued investment in building and expansion of “Field C “.